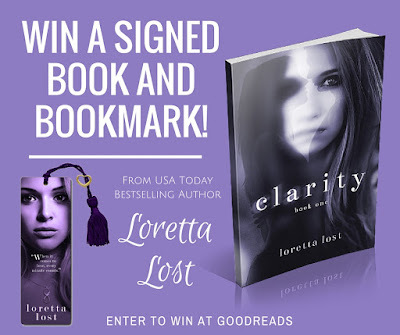 Loretta Lost Books: Signed Paperback and Bookmark Giveaway! Signed Paperback and Bookmark Giveaway! If you love the Clarity series or End of Eternity, here is your chance to win a signed paperback and a bookmark from the author! Head over to Goodreads to enter. I will be mailing the goodies out to one lucky reader after the giveaway concludes on March 27th.